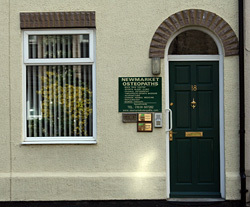 We are open Monday to Friday with evening surgeries available. Appointments last about 40 minutes. It is always easier to discuss appointment times by telephone. Alternatively, e-mail us your phone number and we will ring you. We aim to respond to your email within 4 hrs during practice hours. Outside practice hours an answer-phone service will operate. Some medical insurance companies will provide benefit for Osteopathic treatment. It maybe wise to contact your insurance company to ascertain whether this is the case. GP referral is sometimes necessary.